The ever-expanding and evolving expectations of citizens and consumers are placing a higher importance on how we plan, design and deliver communications. Hear from leading public sector experts on driving change through communications, planning and creating content, measuring engagement and ROI, building and maintaining trust, targeting a hard to reach audience, delivering communications on a shoestring budget and the future of communications. Join your colleagues and peers and harness the latest tools, techniques and strategies to deliver communications, that are both day-to-day and campaign based. 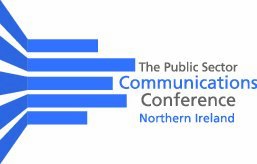 Discover the latest success stories that inform and inspire at The Communications Conference Northern Ireland.